Barracoon: The Story of the Last “Black Cargo” is a non-fiction work by the late author, Zora Neale Hurston. The book is based on Hurston’s 1927 interviews with Cudjo Lewis, the last known living survivor of the Middle Passage. She initially failed to find a publisher because the book was written AAVE and discussed a lot about the business of the slave trade as well the part Africans played in it. It was finally published back in May 2018, which is unfortunate that Zora Neale Hurston was able to see the success of one of her best works. I really enjoyed this book and how Hurston seemingly told the story just as she was told first-hand in her interviews. She interviewed the elderly Cudjo Lewis who was able to recall a lot of his life experiences and pivotal movements. He even started from the very beginning where he discussed his life in Africa up to the point where he along with many others were captured and then, shipped off to the US on the last slave ship called the Clotilda. I thought it was so interesting because a lot of the time when stories or anything is depicted about slavery it’s like it starts saying that it all started in Africa, but soon there is a cultural disconnection whereas it picks up at the part where the African ancestry is so watered down and all that the slaves know of is the plantations that they grew up on. At the time, Lewis was living in Africantown, Alabama with the last bit of family he had left. 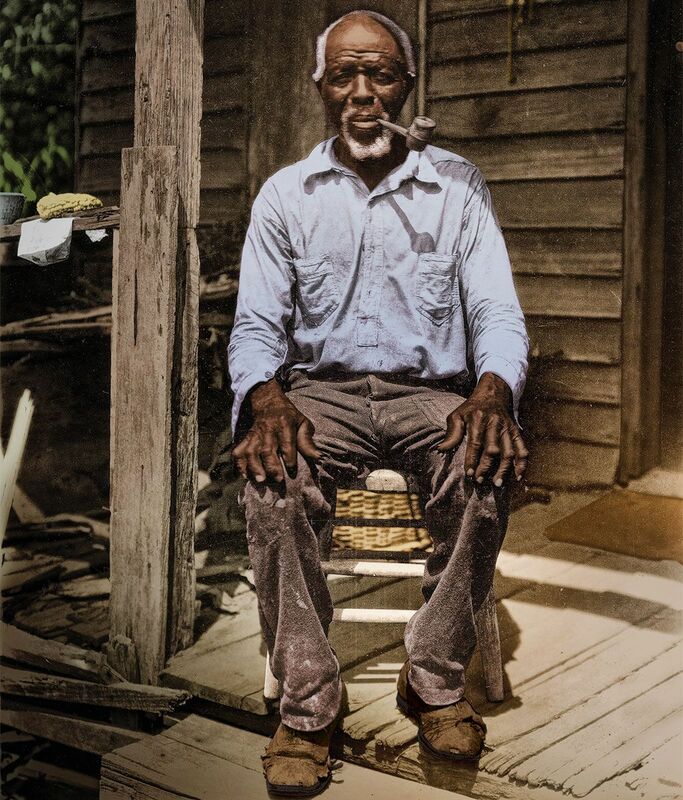 He and Hurston would often exchange gifts that often consisted food as he had a farm by house. He seemed to still be maintaining things even at his old age because in a lot of the conversations they had he would always bring up his farm or end the conversation because he had to tend to it. He enjoyed his conversations/interviews with Hurston even though it seemed to be emotionally overwhelming for him to recall of those memories. Most of the time he would ask for her to leave and come back another time. It was a lot to take in emotionally and visually. I tried to envision what life was like for Cudjo, someone who spent the majority of their life across the world, uprooted by racism and greed. He had to start all over again with literally everything. I think what a lot people fail to realize especially Africans’ and others people’s perspective of African Americans is that African Americans who were, then slaves had to recreate their own a life, society and culture of their own with the little that they had. The odds were already stacked against them. I’m always amazed whenever I think about the slaves’ English language acquisition during that time with no classes, tutoring or assistance. They had to learn in order to survive that was the only even though learning or just knowing too much period often cost them their lives. The Black culture that a lot people to get to experience, pick at and use at their own convenience has been formulated for hundreds of years. The food, the looks, the music, our identities. We may not have the pleasure of having an actual country to call our home or the starting place for our family tree, but there was something created here that we can call our own and we know have a whole continent, hardships and historical moments that inspired it all.